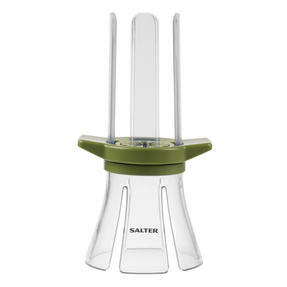 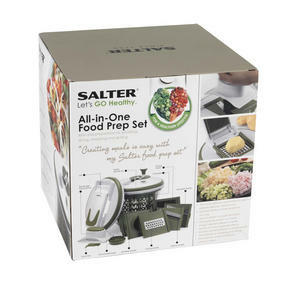 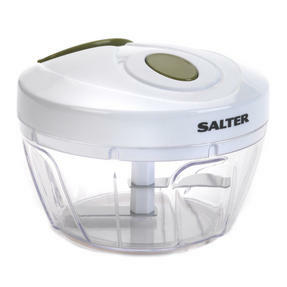 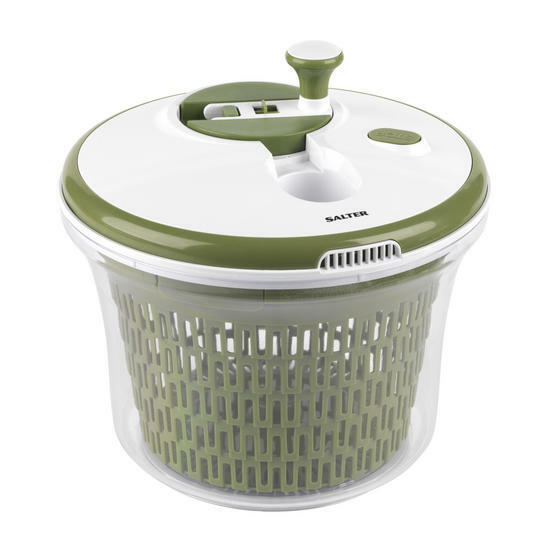 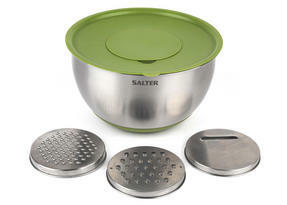 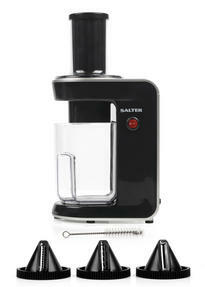 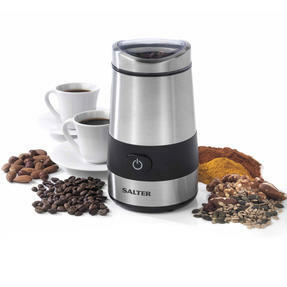 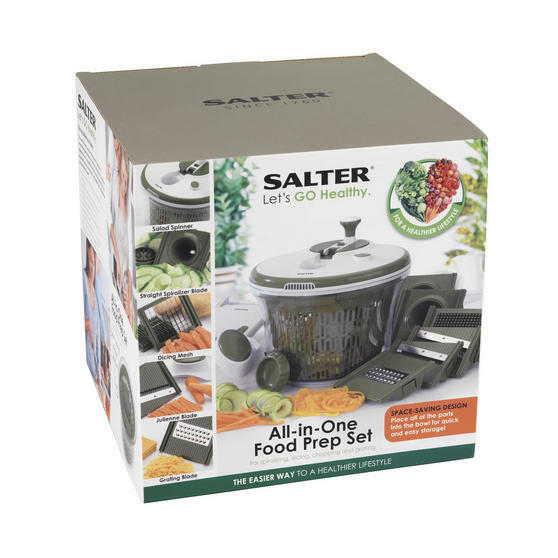 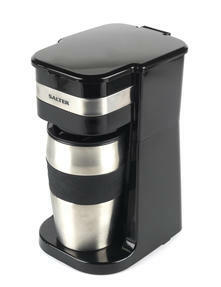 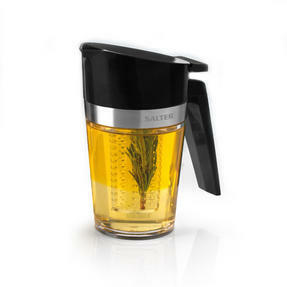 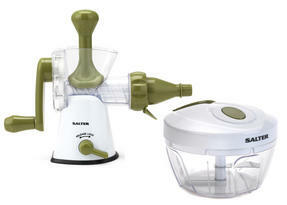 Prepare healthy and nutritious meals the quick and easy way with the Salter All-in-One Food Prep Set. 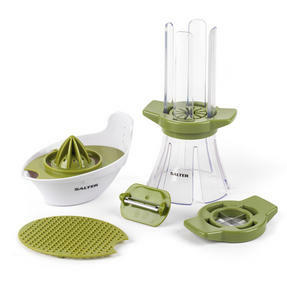 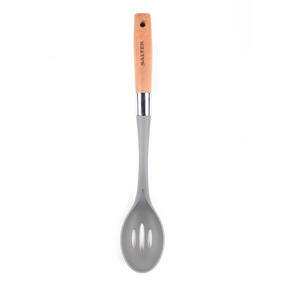 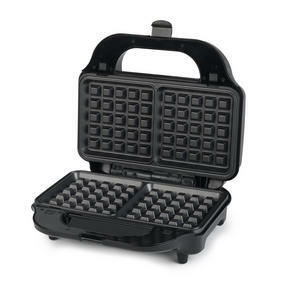 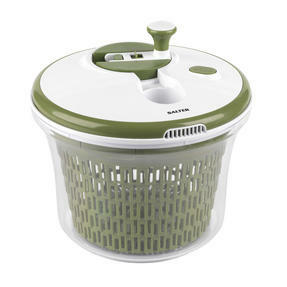 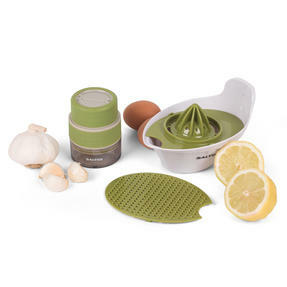 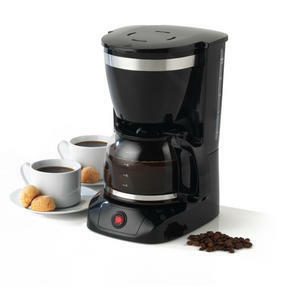 The set includes multiple attachments to help to perform a variety of food-prep functions, ideal for any meal. 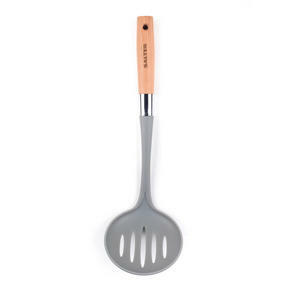 Once the chosen blade is safely fixed into place, simply place your chosen fruit or vegetable onto the blade and grate, chop, slice or spiralize. 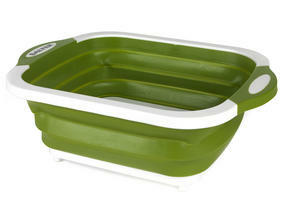 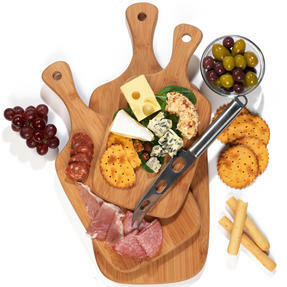 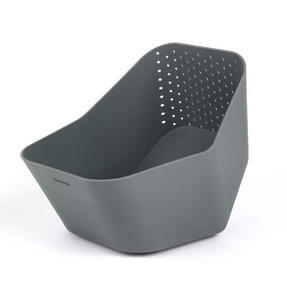 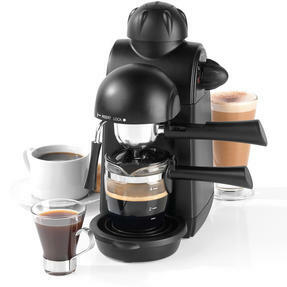 In addition, the superb space saving design makes the set a perfect fit for any kitchen. Make use of the spiralizing blades to fashion healthy fruit and veg ribbons, or even tasty homemade noodles with this Salter Prep Set. 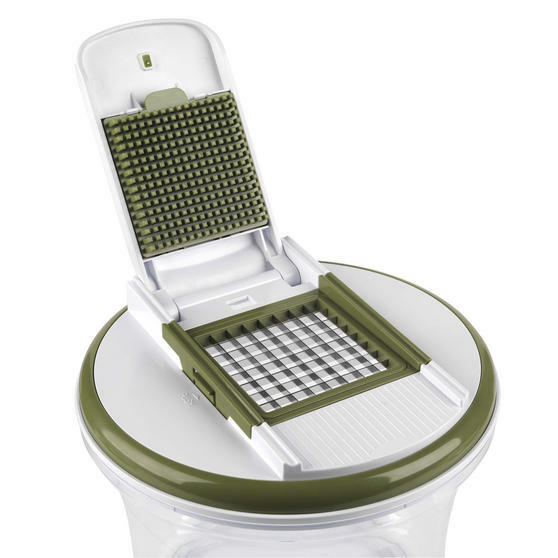 Whether you are grating, dicing or spinning, preparation will only take a second, while keeping your food fresh and delicious. 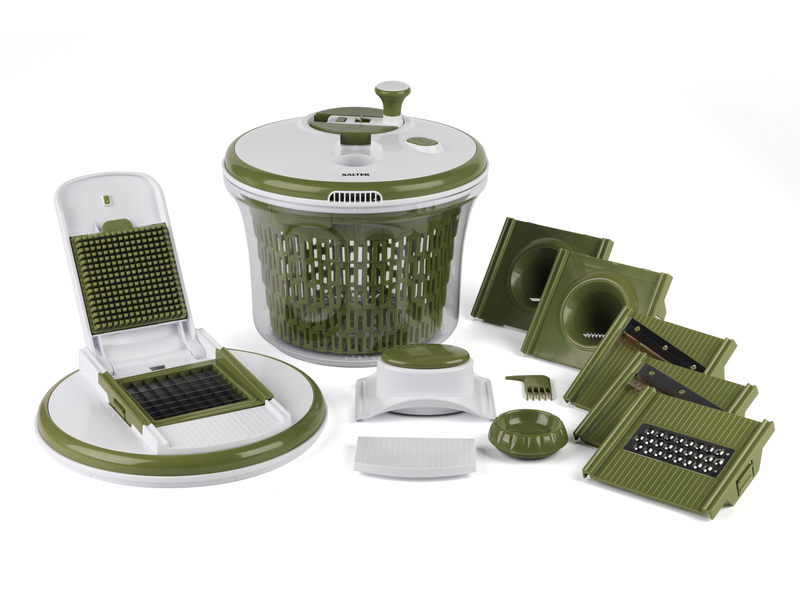 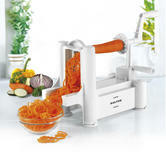 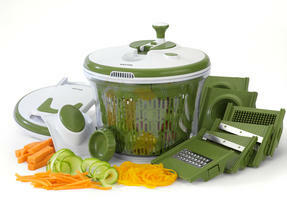 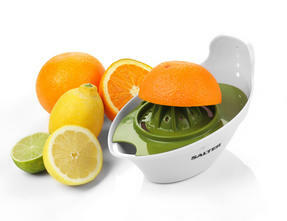 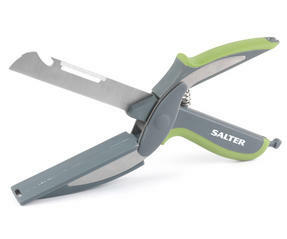 With Mandolin and Julienne blades you can cut your fruits and vegetables with precision, to reduce your cooking time. 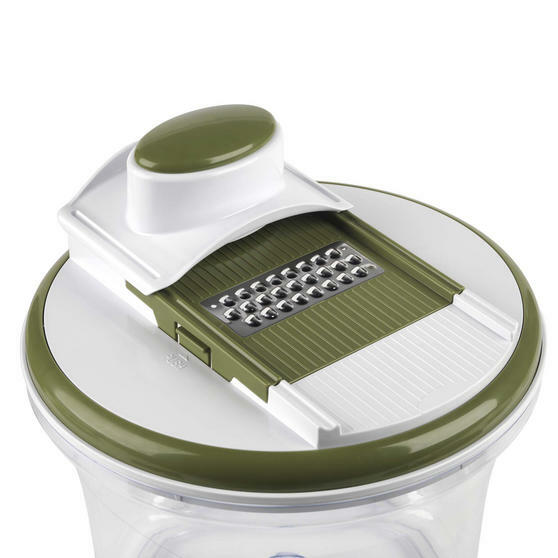 The grip and hand guard features will keep your fingers and hands well protected, so you can prepare your food with confidence. 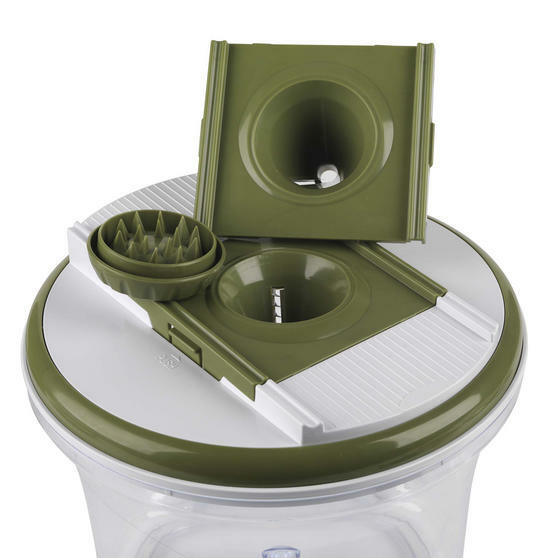 Save room in your kitchen with the smart space saving design, place all of the parts into the one bowl for quick and easy storage.